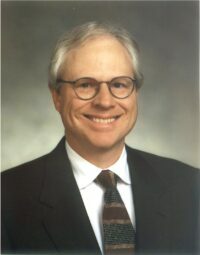 Paul A. Adams joined the Firm in 1985 and has been a shareholder since 1987. He is a member of the Corporate and Financial Services Department. Mr. Adams primarily represents depository and non-depository financial institutions, their holding companies and affiliates with all aspects of their relationships with state and federal, banking, insurance and securities regulators. This includes enforcement actions, the examination process, regulatory compliance and privacy issues. He assists financial institutions and general corporations in strategic planning, mergers and acquisitions, internal investigations, compensation plans and negotiating contracts, including joint marketing agreements, for financial products and services as well as bank back room operations with an emphasis on privacy concerns. From 1981 to 1985, Mr. Adams was the Chief Counsel for the Pennsylvania Department of Banking and was an Assistant Attorney General for the Pennsylvania Insurance Department. Mr. Adams started his legal career in 1977 as a judicial law clerk for the Common Pleas Court of York County. Mr. Adams teaches Banking Regulation at the Dickinson School of Law of the Pennsylvania State University. He also taught Money, Banking and Financial Institutions at Franklin and Marshall College. Mr. Adams is a frequent lecturer on banking issues for The American Bar Association, Pennsylvania Association of Community Bankers, Pennsylvania Bankers Association, Pennsylvania Consumer Finance Services Association, Pennsylvania Credit Union League, The National Association of Secondary Mortgage Lenders, Pennsylvania Bar Institute, Executive Seminars Inc., National Association of Bank Women, South Central Pennsylvania Credit Counsel, Central Pennsylvania Chapter of the Bank Administrators Institute and Association of Commercial Finance Attorneys, Inc. Mr. Adams coauthored the Pennsylvania chapter of the State Taxation of Financial Institutions published by the American Bar Association. Mr. Adams is licensed in Pennsylvania and Maryland. He is a member of the American Bar Association Banking and Savings Institution Taxation Committee; the Consumer Financial Services Committee and its subcommittees on Banking and Insurance Activities and Interest Rate Regulation; and the Banking Law Committee and its subcommittee on Regulatory Enforcement and Director Liability, Community Bank Matters and Compliance, Internal Audits and Security, and was the Chairman and Vice-Chairman of the Committee on Savings Institutions. Mr. Adams serves on the ABA Task Force for regulatory reform.